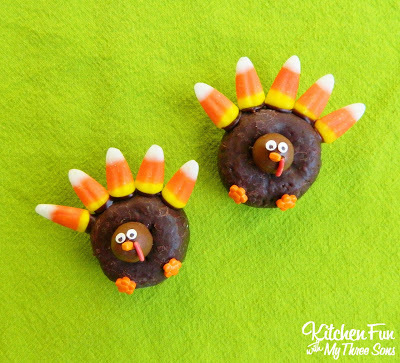 We created these fun Thanksgiving Turkey Donut Treats using left over Halloween candy & these would be super cute for Thanksgiving class parties at school! 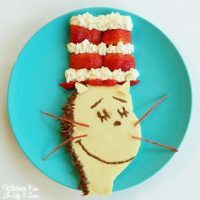 They are super easy to make & my boys just loved them! 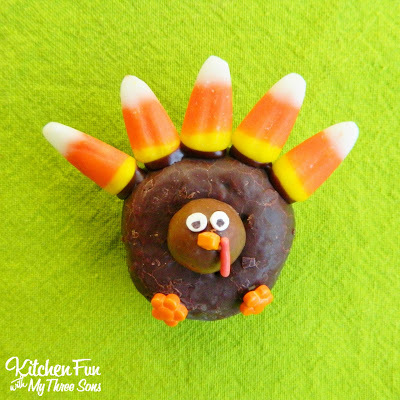 Start out by attaching the 1 Whopper to the middle of the donut using the chocolate icing. 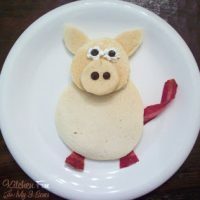 Cut a marshmallow bit in half & attach it on the front for eyes. Press on edible black marker to make the pupil. 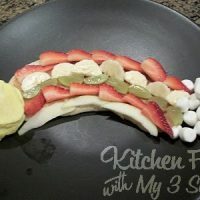 Attach candy corn around the top using the icing. We used assorted sprinkles to decorate. This is also a fun Thanksgiving treat idea that the kids can create themselves! 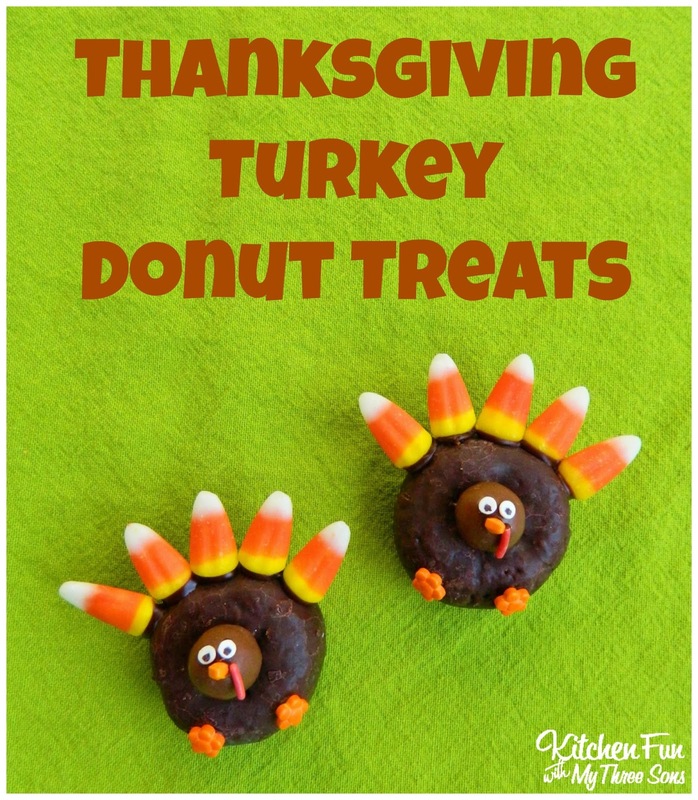 If you like our Thanksgiving Turkey Donut Treats…make sure to check out our other Thanksgiving fun food ideas HERE! Thanks a lots for share this kind of information here i like it and i share with my friends also.